If you don’t have a lot of traffic or potential guests visiting your website and you want more…You may want to ignite your marketing efforts by utilizing pay per click ad campaigns. We will design, place and manage your social advertisements, and provide you with in depth reporting. Campaigns can be designed to fit any budget (as little as $1 per day) with no commitments of any kind. 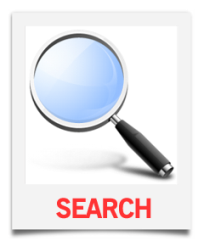 Getting found organically on Google is key to the success of your business. We offer Keyword Research and Keyword Recommendations, Link Building (via your website, through directories, press releases, blogs and other social media outlets) and provide monthly/quarterly analysis and reporting. In addition will offer effective website, blog and article copywriting, as well as, landing page and lead capture development. Not every company has a place on LinkedIn or Pinterest! That's why we provide and in-depth analysis of your business and customer base and suggest the most relevant strategy for your social media success. Just being present in social media isn't enough! Valuable content is key to your success on the web. You need to provide value everyday and have something to say that appeals to your target audience. We will work with you to create messaging strategies, a schedule and ways to create relevant content. Additionally, we will recommend tools to centralize all of your social media profiles, keeping you organized and saving you time! Find out what your competition is doing...Are they doing a great job on the web? We'll identify where they are, where their customers are, what they're doing and how you can leverage your success based on their actions. Our training is customized to fit your needs (and busy schedule) and can be done through in-person speaking and training or customized online webinar content, creation and delivery. We will suggest tools and techniques to help you manage your social media profiles, help you create customized social media profiles to help you increase engagement and loyalty and provide the training and resources on how to get more fans and followers. 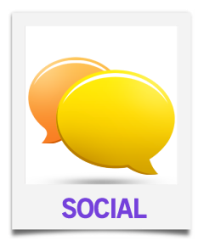 Don't feel comfortable outsourcing your social media, but don't know where to start? Let us develop a strategy and train your marketing team. By leveraging the many Web 2.0 platforms like Facebook, Twitter, Pinterest, Foursquare, Flickr, YouTube, and dozens of others, we can help you create the buzz you need to succeed. If you decide you don't have the time, we will post, monitor and respond on your social networks, keeping your fans engaged. The success of many businesses, can be significantly impacted by bad reviews online. The majority of consumers are checking the web to help them to decide where to shop or dine. With so many different places to write reviews online, it can be a nightmare to keep up with. We scour the web for mentions of your brand on a daily basis and assure that positive mentions are amplified and negative mentions are responded to timely and fixed. All of this is done using the best monitoring and tracking tools combined with manual monitoring, tracking and assessment, as we feel all of this is necessary to protect your brand. Do you want to know how your brand stacks up against your competitors? Has your brand lost its competitive edge? Do you need a new identity? We will work with you to develop and implement a brand strategy to put you ahead of the competition. A brand is so much more than a logo. A brand is what people think of when they see a name. That is why it is critical to possess a consistent set of values and principles that define your brand. Elements such as; the logo, fonts and colors are so important. These are the first things your customers, partners and competitors see - and they are what signify your values and principles. We will help you to establish the guidelines on how your brand's identity is applied. We will help to create a corporate identity manual which outlines the approved color palettes, typefaces, page layouts and other such methods of maintaining brand continuity and recognition. Let us help you bring your vision to life! Blanchard Media will work with you to develop comprehensive and creative solutions. 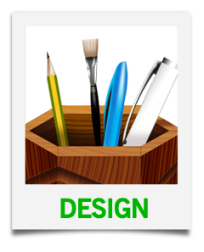 Our graphic design services encompass all aspects of design. For your print and web advertising needs, we will create stand-out print and banner ads, logos, business cards, brochures, rack cards, email templates, newsletters, Facebook covers and landing pages. We will also help you with your presentation design, press kits, sales proposals and any other marketing collateral you may need. Our graphic and print design services will make your business or organization look great, while conveying your message clearly and consistently. Landing pages are a vital component to promotional marketing success. They are particularly critical in ensuring that your paid marketing efforts are successful. Effective landing pages convert traffic to your site into revenue for your business. Blanchard Media constructs landing pages which compliment the keywords designated in your PPC and SEO campaigns. to ensure maximum relevancy. A properly designed landing page will increase overall PPC conversion rates and provide maximum effectiveness. Effective offers improve the effectiveness of your pay-per-click (PPC) campaigns, SEO and other lead generating activities and assists in establishing your brand as a thought leader in your industry. Let Blanchard Media help you to develop effective offers such as; white papers, webinars, eBooks and more. Gone are the days of boring text-based emails. Advances in technology and a little thing called HTML has allowed brands to send vibrant and exciting communications to their customers. Let us help you design your email campaign templates that will be sure to WOW your subscribers. Not all websites have to cost thousands of dollars to create. Some businesses just need a simple presence, letting customers know who they are, where they are and what they have to offer. It is, however, advantageous to have a web 2.0 optimized site that includes contact forms, a blog and social media tie-ins. Additionally, maintaining your website or blog and updating your content regularly is critical...Fresh content keeps your visitors coming back and helps you get found in Google. Yes, email marketing still works! It is just another way to keep in touch with your customers (new and old), and may be the only way to keep in touch with customers who are not fully vested in social media yet. PR is an excellent way to compliment other digital marketing tools and strategies, particularly - social media and SEO. We understand that every company has different needs. Whether your goal is to build brand loyalty, introduce a new product or outshine the competition, we will put together a public relations strategy that will help you reach your goals. Do you often struggle with writers block? Are you in search of the right words to promote your product or service? Do you have trouble communicating effectively with new prospects or existing customers? Sure, you know your product inside and out and probably know a lot about your customers. Unfortunately for some, putting a pen to paper isn't quite that easy. Blanchard Media's copywriting services can help you clearly communicate your message for maximum impact and response. 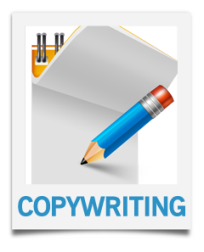 Great copywriting combines the right voice, the right style and the right ideas in a way that gets people's attention and to do that, we will take all of the time needed to get to know you, your products and your customers. Copywriting services are available for; article writing and marketing, blog posts, website copy, whitepapers, press releases, brochures, newsletters, email campaigns, internal communications, product sheets, presentation content, presenter abstracts and biographies, research reports, request for proposal (RFP) responses, sales letters, sales proposals and more.